The Mission Critical Open Platform (MCOP) project has marked the halfway point of its first phase with the launch of an official Support Program. The first MCOP workshop for user equipment (UE) vendors is planned for November, to explain and help UE vendors how to implement the MCOP APIs on their devices. The workshop will cover technical aspects, licensing issues and the benefits to vendors for their application and customer base. MCOP is designed to catalyse the creation of standards-based mission critical MCPTT applications, removing the entry barriers of the multiple technologies and proprietary platforms usually involved. Its organisers state that that MCOP will ensure interoperability and help to encourage more players to enter the MCPTT market by making the business case for doing so more attractive. They also claim that all MCOP components are fully compliant with 3GPP standards. Earlier this year, MCOP announced the release of the first version of the Open Source MCPTT SDK, including the source code for a sample MCPTT application, which is available from the MCOP repository. Both the app and the SDK can be remotely tested in a full 3GPP MCPTT system using the MCOP online Testing platform or a live LTE+IMS+eMBMS testbed hosted in the NIST/PSCR labs in Boulder, Colorado. 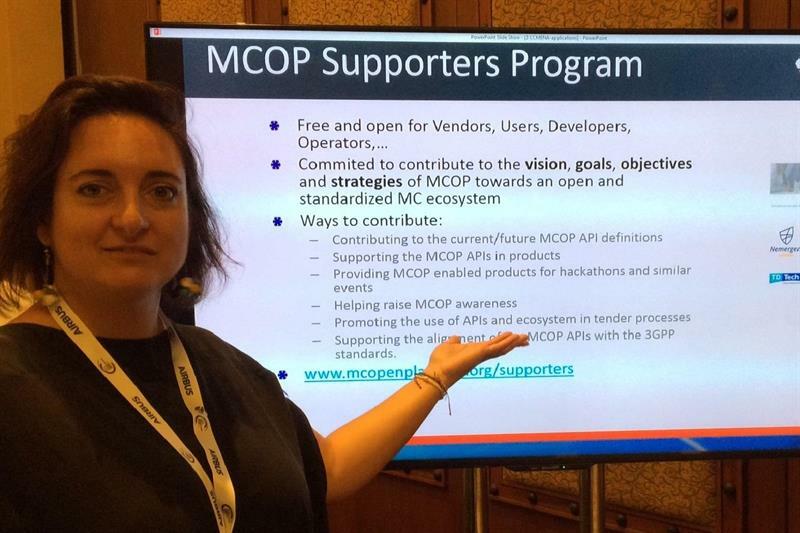 More information about the MCOP Supporter Program and the workshop in November can be obtained by emailing info@mcopenplatform.org.